The vision was clear. The experienced heart and vascular team at the Northwestern Medicine Bluhm Cardiovascular Institute in Chicago needed a cardiovascular information system (CVIS) to stretch across its seven hospitals and 100 ambulatory care centers, physician offices and clinics. Like an architect constructing a solid foundation, they brought in a unified IT infrastructure to support enterprise-wide image reading, viewing, smart structured reporting and drive better quality, outcomes and efficiency. For this leading-edge health network, syngo Dynamics (Siemens) emerged as the enterprise-wide solution of choice for exchanging key patient images and data with the EMR, enabling near-instant, secure, HIPAA-enabled access to clinicians onsite and remote and ensuring interoperability across the enterprise. Northwestern Medicine (NM) blends academic and community medicine, providing care in its hospitals and ambulatory care locations in the Chicagoland area via more than 4,000 practicing physicians and 30,000 employees. NW also represents the consolidating U.S. healthcare landscape. Once a series of independent hospitals, Northwestern Medicine has come together as one system. Located in downtown Chicago, Northwestern Memorial Hospital is the flagship 894-bed academic medical center and primary teaching affiliate for the Northwestern University Feinberg School of Medicine. To the north in Lake Forest isthe 201-bed Lake Forest Hospital. To the west are Northwestern Medicine Central DuPage Hospital (CDH), a 392-bed acute-care facility located in Winfield; Delnor Hospital, a 159-bed acute-care facility in Geneva; Kishwaukee Hospital, a 98-bed acute-care hospital in DeKalb; Valley West Hospital, a 24-bed critical access hospital in Sandwich and Marianjoy Rehabilitation Hospital in Wheaton. Becoming one integrated system precipitated a move away from a series of siloed legacy IT systems repeated across multiple hospitals. Northwestern Medicine needed to unite people, processes and IT. As the Northwestern Medicine heart and vascular team had outgrown their department-specific IT solutions, they searched out a mature CVIS that would integrate well with their EMR and could scale to their present and future needs. They also wanted structured reporting that creates enterprise-wide semantic interoperability using a unified ontology. In 2013, the consolidation of cardiology imaging and structured reporting on a unified CVIS started at Northwestern Medicine Central DuPage Hospital with the deployment of syngo Dynamics that now unites the entire enterprise. 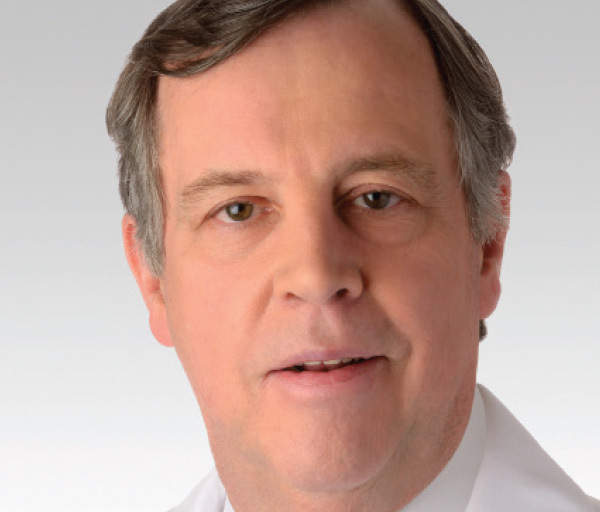 From the physician perspective, “the goal was to develop a single simplified and more efficient platform that standardizes and streamlines internal workflow,” says Joseph Schneider, MD, PhD, medical director for vascular surgery and interventional radiology at CDH. “Every doctor, including our physicians and referrers, needs access to every image and report. The CVIS enhances the physician and patient experience through better data consolidation and information sharing.” Total cost of ownership was reduced by eliminating the need to invest in departmental solutions and management. The plan to implement CVIS included a core team: a project manager from the IT side, the physician champion and a supportive IT department. Lapidus supported the team from the IT side, Schneider brought the physician perspective and expertise for noninvasive peripheral vascular testing structured reporting template development. 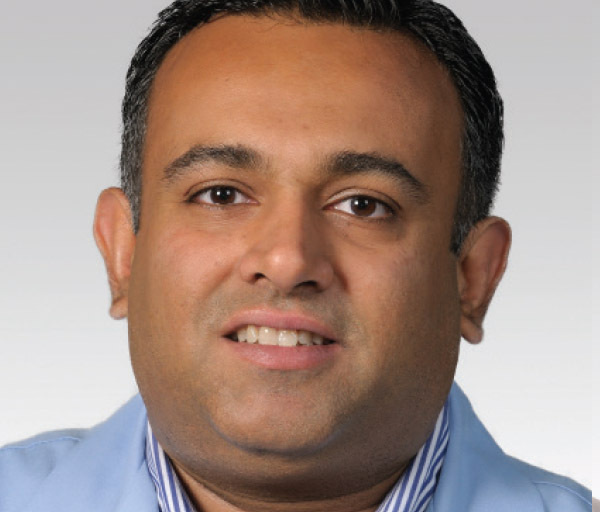 Waleed Ahmed, MD, director of cardiac imaging at CDH, piloted template development for noninvasive cardiac imaging. Donna Maszczyk served as the project team lead, the bridge between clinicians and IS. Well worth the effort is Ahmed’s opinion as well: “Reports are very comprehensive and every report comes out the same way regardless of who drafts it. Implementing it in the echo lab is much more complicated than any other area based on the 50 to 100 measurements required vs. 10 to 15 for a vascular study, but we were able to do it quite successfully. It’s a lot of work but worth the pain because once it’s there it makes your life so easy.” It also completed the pathway to echo lab accreditation across Northwestern Medicine. The vascular lab was first to roll out structured reporting, with Schneider leading a team on visits to health systems using the CVIS connected to an Epic EMR, the system Northwestern Medicine has standardized on. He, Ahmed and Maszczyk then spent many months developing templates. They made sure that everything could be done with structured reporting as well as allowing some flexibility to enable physicians to add special content by either typing or using speech recognition software. After they decided the CVIS was performing as required at Central DuPage Hospital, they expanded the system enterprise-wide including the Northwestern Medicine Delnor Hospital and the central and north regions. Here’s how the CVIS works: syngo Dynamics runs on VMware servers in the data center. The user mineable database is Microsoft SQL. Disaster recovery is achieved with a replicated set of servers in off-site data centers separated by 30 miles. The system uses a short-term spinning disk archive. The long-term archive (LTA) is provided by the VNA as opposed to systems requiring a dedicated long-term archive and then duplicate the LTA within the VNA. The CVIS interfaces with the Epic EMR. For example, when an order for a cardiac catheterization procedure is placed, the order info is passed to the CVIS and hemodynamic recording system. Once a procedure is performed, the results are forwarded to the EMR. An image link in the EMR allows physicians to view cardiology images. The EMR as a single point of access—a single view with a single click—enables review of information across the enterprise, alleviating the need for caregivers to learn multiple systems to see patient data. “All of the DICOM images are encoded on a web server which enables quick and easy viewing across the web,” Maszczyk says. “The link in the EMR is a URL which enables displaying the images.” Authentication for mandated access comes from the EMR, with CVIS users recognized as trusted partners. An HTTPS certificate allows external users to view images through the web portal. Employed physicians have remote access through a Citrix VPN to access the EMR, while clinicians in the hospital use thin clients, eliminating the need for thick client PCs and providing optimal cybersecurity. Thin clients also reduce total cost of ownership by simplifying enterprise data management. Lightweight Directory Access Protocol or LDAP is used for external users, such as physicians at home or in an external office who need to access the CVIS and EMR. Referring physicians not part of Northwestern Medicine need authorization to access patient records remotely, which is based on rules in the EMR. NM sites harmonized on Siemens Sensis for hemodynamic reporting, with bi-directional integration at the database level with the CVIS. When a physician would disagree with a lesion measurement in Sensis, he or she can edit the CVIS report which is automatically sent back to Sensis to keep the systems in sync. Bi-directional data flow ensures that the EMR is always current. Most cardiologists complete their reports on assigned workstations. In the cath lab, for example, cardiologists compose structured reports on the workstation outside the lab. “Literally within 10 minutes the report is finalized,” Maszczyk says. For physicians wanting to report from home or a remote office, Northwestern Medicine supports BYOD, bring your own device. “We have many physicians with Macs and different types of browser preferences,” she says. “Our dilemma was either to provide everybody with a hospital issued PC or come up with a more creative solution.” So they implemented a farm of Citrix servers for web-based reporting. Physicians can read remotely on any device that they have, connecting via the VPN. Epic Everywhere enables institutions, regardless of affiliation, to share data with patient permission. Good communication is essential too. “The level of communication is so important, making sure that everybody completely understands what’s happening,” Maszcyzk says. Looking back, the team agrees they are reaping the benefits of hard work and solid preparation. Across Northwestern Medicine, structured reporting has improved workflow, communication and documentation processes for physicians and other clinicians and care coordination. It has reduced complexity and report turnaround time to as little as 10 minutes, Schneider notes. It has both enriched and simplified data access via the EMR, allowing growth without more capital investment. They also are confident the health system can scale the CVIS to needed expectation.